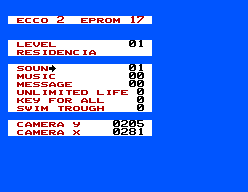 Ecco - The Tides of Time - Cheats - SMS Power! During the game, press + to enter the map screen and press . The cursor will be out of alignment but it still works.